The brand Goodride stands for high quality in the lower price range and offers an excellent price-performance ratio. The manufacturer is the Zhongce Rubber Group Co., Ltd. (ZC Rubber for short) founded in 1958, based in Hangzhou, the capital of East China’s Zhejiang province. The company is the largest tyre producer in China and has grown in recent years to become one of the ten leading global tyre manufacturers, alongside brands such as Michelin, Continental and Bridgestone. 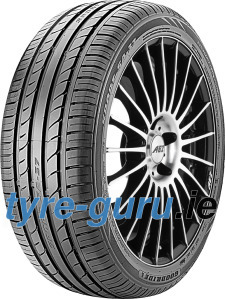 The declared aim is to further expand their position and to increase their share of the tyre market. In order to do this, the firm invests in new production facilities, representative bodies and cooperations worldwide. Different brands are produced in numerous plants in China and in Thailand. Tyres for cars, transportation vehicles and trucks, for agricultural, construction and commercial vehicles as well as for motorcycles and bicycles feature in ZC Rubber’s range. In addition, rubber tracks for caterpillar vehicles as well as tubes are made. When it comes to production and production control, modern equipment from reputable manufacturers is used, and quality management is oriented around the requirements and standards of the international tyre market. 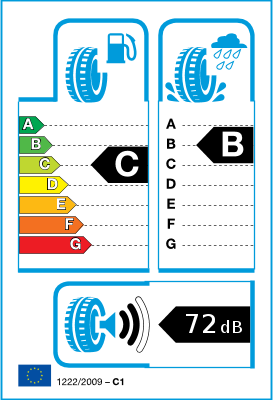 For measuring and optimising tyre noise emission, ZC Rubber established the first anechoic laboratory rooms in China. Furthermore, the company goes to great lengths with concerns such as gas recovery, steam cleaning, water purification and waste treatment for the sake of environmentally friendly production.